Coffee is a staple not only here in Singapore but around the world. In fact, there are many Singaporeans who would admit that they are addicted to coffee. Depending on what we believe, coffee can either make or break our life. To others, coffee is healthy drink and some believe that it slowly kills us. What should we believe? There are studies that prove coffee to prevent heart diseases as well as boost brainpower whilst there are other studies that claim it raises blood pressure and can ruin concentration. Regardless of what research say, we drink coffee either out of need or of habit. The key here is to drink moderately. Indeed there are many misconceptions about coffee. It is understandable that we get confused sometimes. The good news is that Marie Barone and fellow Melinda Gong, UC Davis Medical Center’s registered dieticians laid out the facts about coffee. Coffee leads to dehydration: They say that coffee leads to dehydration. The truth is there is no claim that said so. Drinking coffee (at least one to three cups a day) is not going to dehydrate you. According to Barone, the water used in making coffee definitely counts fluid intake. Coffees and other caffeinated beverages have little diuretic effect but it does not lead to dehydration. Caffeine can improve workouts: According to American College of Sports Medicine, caffeine can improve performance. This is possible knowing that caffeine can increase circulation by Gong consider this claim tricky. While it is true that it can improve workouts, it is only short term and if an athlete is immune to caffeine, there will be no effect. Coffee can prevent serious diseases: Serious diseases include cancers, type 2 diabetes and Parkinson’s disease. There are many studies that reveal people who drink coffee are less likely to have diseases mentioned earlier than those who do not drink. 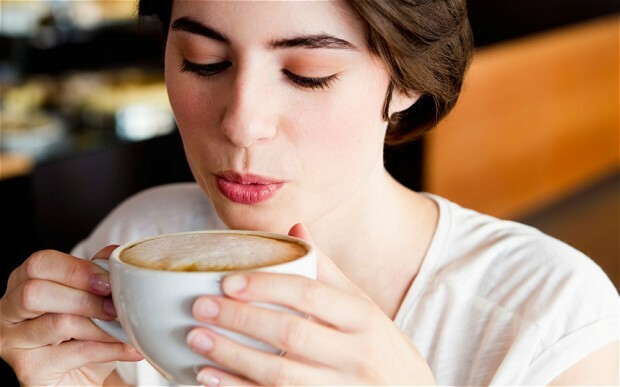 This finding merely compares drinkers and non-drinkers of coffee with regards to the diseases. Pregnant women are not allowed to drink coffee: Pregnant women believe that coffees are not allowed since it can cause preterm birth or even miscarriage. More studies need to be made. According to the American College of Obstetricians and Gynaecologists, pregnant women who drink less than two hundred milligram of caffeine per day don’t cause preterm birth or miscarriage. Coffee gives instant boost: You have to know that coffee will take about fifteen minutes to be metabolized so it cannot give you the instant boost. You will likely feel the boost within the first hour however, the effects will decline as it will flush in your system.